There appears to be no stopping the steady growth of the bag-in-box flexible packaging market, both in the United States and around the world. Although some companies still turn a curious eye to flexible containers for certain products such as beer, bag-in-box containers keep advancing and taking more and more of the packaging market share. These containers might look different, but they make good business sense. Rigid materials, such as metal and glass, seem more traditional, at least for some products. But flexible packaging keeps winning over more manufacturers and end-users for one important reason: performance. Tradition is good, but high performance in cost reduction, product safety, freshness, and convenience seem to win out in the end for savvy manufacturers. How is Flexible Packaging Expected to Grow? The compound annual growth rate or CAGR of flexible packaging should reach approximately 6.5 percent globally through 2024, says Transparency Market Research (TMR). For now, the largest share by far is the food and beverage industries, which includes alcoholic beverages. They account for nearly 60 percent of the market. Products that have long since adapted well to bag-in-box packaging, such as alcoholic and non-alcoholic beverages and liquid food, are also expected to grow. And one beverage manufacturer in Germany has defied the odds with flexible packaging for beer. 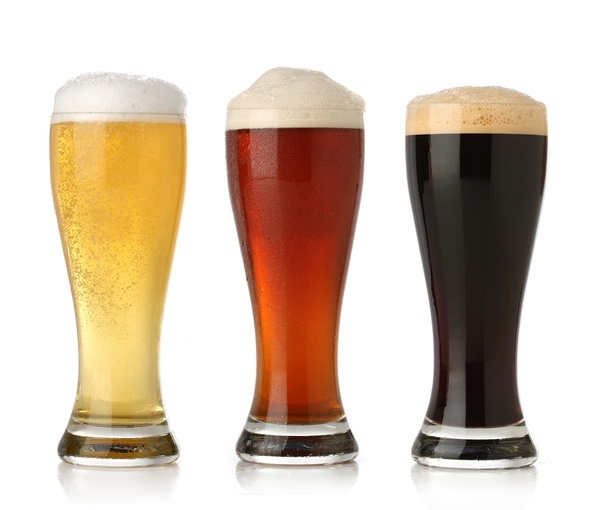 Beer is decarbonated for storage, then recarbonated when it’s tapped for drinking. There appears to be very little that bag-in-box flexible packaging cannot do. Flexible packaging is successfully branching out into areas where many thought it could never go. Which Factors Will Affect the Bag-in-Box Market Through 2024? The domestic and global bag-in-box container market is expected to enjoy continued growth through 2024 and beyond. According to TMR, this flexible packaging option is on the rise because it is cost-effective and offers benefits that rigid packaging cannot. The increasing popularity with product manufacturers, as well as end-users, is rooted in these and other important points. Bag-in-box packaging is appropriate for a wide range of products, including paint, chemicals, cosmetics, wine, and food. Flexible packaging supports purity and protects products against contamination in both directions. The product is less likely to become contaminated from external factors, and the product is less likely to seep or leak. Because little or no air is introduced into flexible packaging while filling and dispensing, products enjoy a longer shelf-life. Both the flexible packaging and the box containers are eco-friendly. Production requires fewer raw materials. Bags are much smaller than their rigid counterparts, and cardboard is recyclable. What Can CDF Corporation Offer You? If your business manufacturers or uses liquids, chances are high that there is a bag-in-box option that is suitable for it. From wines to cooking oils and chemical products, this flexible packaging keeps products fresh, controls the risk of contamination, extends shelf life, reduces storage space requirements, and helps keep costs low. It also helps you do lower your carbon footprint. CDF Corporation provides form-fit and pillow-style bags that work with manual, semi-automatic, and automatic fill lines. There is less product waste, and less packaging sent to a landfill after dispensing. If you need UN-certified packaging, we offer third-party certified bag-in-box flexible packaging that meets Class II and Class III protection. Bag-in-box flexible packaging makes solid business sense. Manufacturers and food processors love it because it shrinks storage space needs, lowers transportation costs, extends shelf life, reduces waste, and helps meet ecological goals. Consumers love it because it’s smaller, convenient, lightweight, and keeps products fresh. If you are in the market for a smart and cost-effective way to improve on your current product packaging, download our Bag-In-Box brochure today.